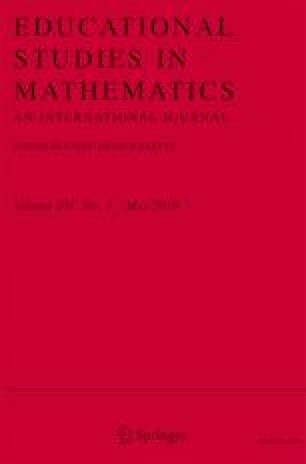 Inspired by the entering of computer algebra systems (CAS) in the Danish upper secondary school mathematics program, this article addresses, from a theoretical stance, what may happen when traditional procedures are outsourced to CAS. Looking at the commands “solve” and “desolve,” it is asked what happens when such CAS procedures are objectified in the students’ minds, and what the nature might be of the resulting “objects.” The theoretical analyses draw on a selection of classical mathematics education frameworks on conceptualization and are related to the research literature on technology in mathematics education. The article suggests the following characteristics as elements of negative effects: loss of distinctive features of concept formation, a consequential reclassification of mathematical objects, instability of CAS solutions as objects, and prevailing a posteriori reasoning on students’ behalf when relying solely on CAS in their mathematical work. We thank reviewers and editor for their valuable comments. This article was partly written in the frame of project 8018-00062B under Independent Research Fund Denmark.